Why are there so few decent jobs now? With his ‘surplus-value’ theory, Karl Marx, building on the work of Adam Smith, suggested that labour was the sole source of economic value. He was making the point that industrial profit, being the difference between the input costs of industry (materials, labour and capital) and the sale price of the goods, is a function of worker input over and above the wage paid to the worker. The worker takes the raw materials and adds value by converting them into something useful, allowing the factory owner (the capitalist) to sell the product for a profit. Marx also argued that the replacement of labour by capital (by which he meant the machinery used for production) resulted in a ‘reserve army’ of unemployed workers, holding down wages. This argument makes sense; for the unemployed, low pay is better than no pay. So could it be that Marx’s predictions are finally coming true? 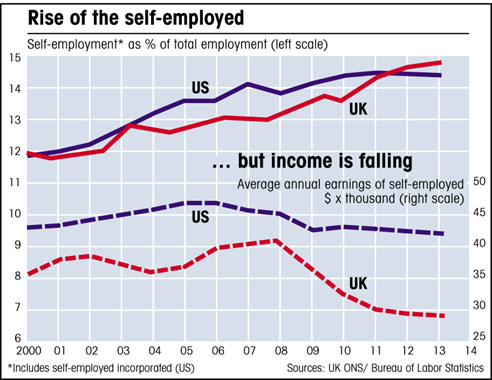 Are increases in productivity finally leading to a permanent rise in the ‘reserve army’ of unemployed? One of the biggest problems facing the world today, along with global warming, is a decline in the number of decent jobs. By ‘decent’ I mean reasonably well paid, full-time (at least 30 hours per week) and preferably of use to society as a whole, either because the work is in a real wealth-creating industry, or the worker is performing a service that adds value to the community. In the book I explore the idea that we don’t need to work as much anymore because machines can produce most of the stuff we need, and therefore we can spend more time relaxing and enjoying the fruits of the labour of all those robots. Although this is theoretically possible, there are several reasons why it doesn’t work, except perhaps in a closed system where the state controls the raw materials and the means of production and the people are rewarded for doing nothing. I show why Marx had to be right when he said that labour is the source of all economic value, and how, in fact, work is the source of all value in our lives. Without work, we have nothing. 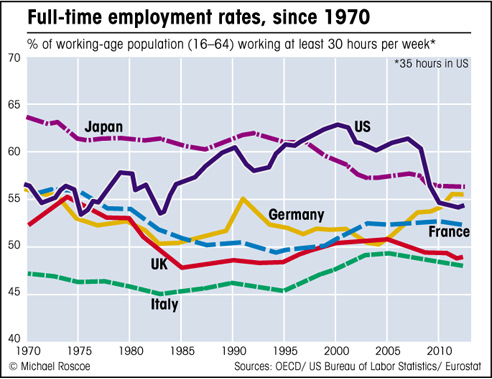 Which is why it is so important that we reverse the trend of declining real employment. I demonstrate how this decline is linked to the financialization of the economy, ever-rising productivity and the inequality that results from these related factors, and why digital technology is making things worse. There is no reliable data that shows gains and losses in employment due to the growth of the internet, but we can make a few educated guesses based on visible trends. A 2011 report by McKinsey Global Institute, entitled Internet Matters, presents an optimistic view of “… the Net’s sweeping impact on growth, jobs and prosperity”. The report claims that the internet creates 2.6 jobs for every one it destroys, but the authors make some fundamental errors in their assumptions (they fail to distinguish between productive and unproductive GDP and confuse debt-fueled spending with real growth, touting the benefits of online shopping as if this great new ‘growth industry’ creates real wealth). 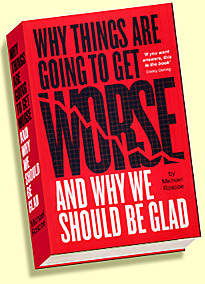 If we look at what’s really happening on the ground, we see that the reality is very different; real stores have been closing and the retail sector has been shedding jobs and cutting wages, and the main reason for this is the rise in the internet and digital technology generally, along with the related trends of globalization and the continuing growth of the financial sector relative to real industry. Online shopping is one of many examples of how the internet kills jobs. Think of all the bookshops, travel agents, clothes retailers and so on that have disappeared because we can now shop without the hassle of leaving our homes, plus the post-office workers, bank tellers and supermarket check-out jobs that are no longer needed. Add to that all the stuff that digital technology means you don’t need to buy anymore (as I explain elsewhere in the book): CDs, books, maps, journals, hi-fi equipment, photographic film and its associated development, etc, etc – all goods that involved real work in manufacturing, now lost. And where has the internet made up for this by creating jobs? Delivery drivers, certainly.